The One Week Pass Course usually starts on Sunday or Monday and finishes on Friday. It is ideal for those who are in a hurry, who could not otherwise find the time. The driving test would usually be organised to take place at the end of the week or during the following week depending on your personal preference. If you want a test at the end of the course you would need to book the course and pass the theory test well in advance of the required start date (i.e. at least one month in advance). However, occasionally short notice driving tests can be arranged. The in-car training provided is 25 hours on a one pupil to one instructor basis. This includes 2 hours for attending the driving test. The Semi-intensive Pass Course is identical in content to the One Week Pass Course above (i.e. 30 hours etc) except the training is spread over two or more weeks to suit you and your instructor’s schedule. This is the most popular and successful form of intensive training. It is designed for people who want to pass the test quickly but at a comfortable pace. The in-car training provided is 20 hours on a one pupil to one instructor basis. (This includes 2 hours for attending the driving test). For those who are nearing test standard and who just need a short burst of lessons prior to the test we have the Test Booster Course. It is also ideal for those who have had an attempt at the test some time ago but haven’t had any lessons since. 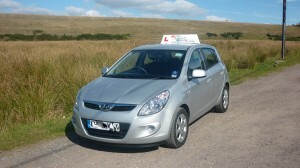 The in-car training is 15 hours on a one pupil to one instructor basis. (This includes 2 hours for attending the driving test).